Earlier this summer, California Governor Jerry Brown signed six restrictive new gun laws. Less than 24 hours after they arrived on his desk, Brown signed six anti-gun bills railroaded through the Democratic-controlled California Legislature. This legislation imposes many new burdens on California gun-owners and criminalizes conduct that was heretofore legal. With little public debate, these bills were rushed through the legislative process. And now Californians are facing the disturbing consequences. 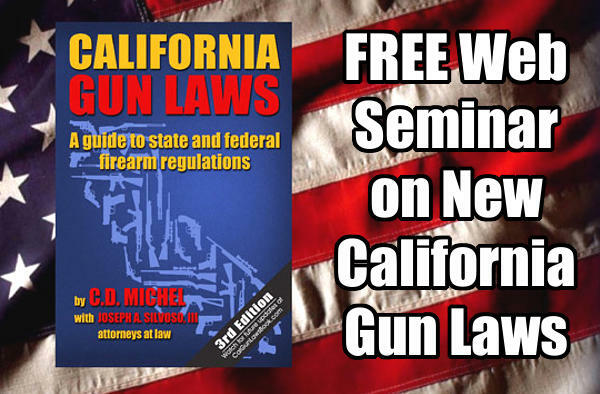 To help Californians understand their responsibilities under the new gun laws, the Michel & Associates law firm is hosting a free online seminar this week. As space is limited, advanced registration is required for the seminar. CLICK HERE to REGISTER. SB 1235 (Ammunition Purchase Bill): This new law requires the California Department of Justice (DOJ) to record ammunition vendor and ammunition purchaser information. This ill-conceived legislation has caused much confusion. It is unclear how AB 1235 will affect mail-order purchases of loaded ammunition from vendors outside the state. SB 1446 (Magazine Ban): SB 1446 which will require Californians to forfeit, destroy, or ship out of the state ALL firearms magazines that can hold more than ten rounds. Owners of legally-obtained magazines, previously “grandfathered”, will receive no compensation though they must give up their property. Those who fail to comply will be fined and charged with an infraction, a low-level crime. This magazine restriction goes into effect July 1, 2017. AB 1135 (Levine) and SB 880 (Hall) Firearms: Assault Weapons – Expands the definition of assault weapons based on whether a semiautomatic firearm has a detachable magazine, banning thousands of popular firearms. AB 1511 (Santiago) Firearms: Lending – Makes it illegal to loan a firearm to a person who is personally known to you (except for family members with restrictions). AB 1695 (Bonta) Firearms: False Reports – Creates a 10-year prohibition on owning firearms for someone convicted of falsely reporting a lost or stolen firearm. Graphic courtesy The Daily Shooter YouTube channel. 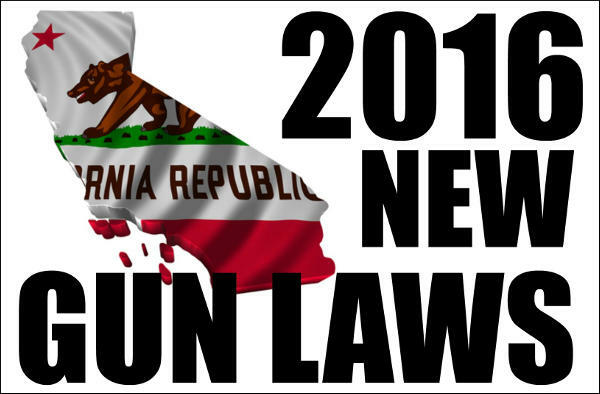 Share the post "Web Seminar Covers New California Gun Laws"